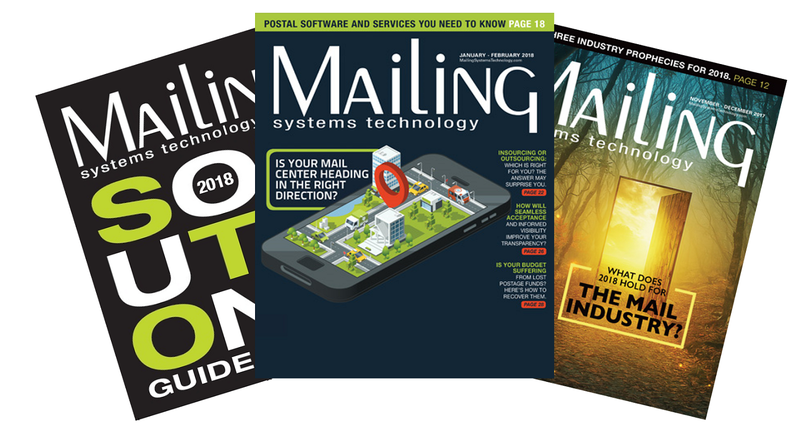 Simply enter your email address below, and you'll be on your way to receiving the latest industry news and updates from Mailing Systems Technology, the top resource for today's mailer. We know that the mailing industry is a challenging one to be in these days, but we're here to help. Whether you are looking to optimize your mail center's workflow, improve your mail piece design, stay up to date on the latest USPS regulations, or succeed as a print/mail service provider, we've got you covered. To receive both our print and digital issue, please enter your information below. To receive our print issue, please enter your information below. To receive our digital issue, please enter your information below.